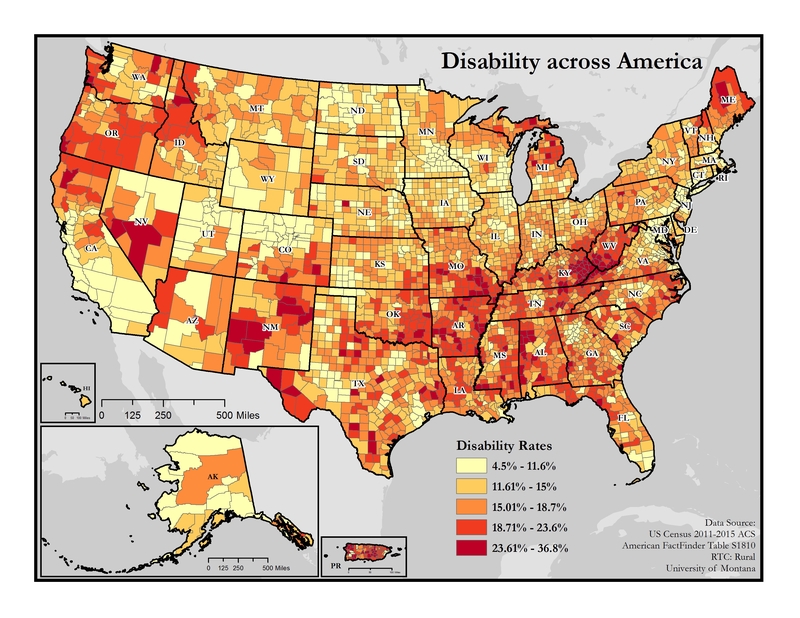 Finding and Using Data for Advocacy explains what data is and how it is used to support advocacy, and provides links to public data sets related to disability, including RTC:Rural’s Disability Counts Data Finder, the Community & Work Disparities (ADA-PARC) website, and Disability Statistics, among others. The guide also includes prompts to guide users in determining what type of data would be most helpful for their advocacy and how to incorporate that data into their personal testimony. Other How-To Guides featured in the Toolkit include Writing Effective Letters to Decision Makers and Creating Your Personal Testimony to Influence Policy Change, both of which are available for download on the Advocacy Skill Building Toolkit website. The How-To Guides were developed and updated from previous products developed by the Research and Training Center on Independent Living at the University of Kansas, and are influenced by RTC:Rural’s successful Living Well with a Disability program. This entry was posted in News and tagged advocacy, data, disability, Disability Counts, how-to guide, living well with a disability.